Preparations for the construction of Long Thanh International Airport in the southern province of Dong Nai are on track, with work scheduled to start at the end of 2020, Airports Corporation of Vietnam (ACV) said on December 30. The feasibility study for the first phase of the project has been completed on schedule, and tasks on structural mapping and terrain analysis have been handled quickly. Further, the environmental impact assessment report of the project is also being carried out. The report is said to last nine months, starting from July. Given the rapid progress seen so far, the entire feasibility study will be complete in June 2019, and a report on the project will be delivered to the National Assembly at a meeting in October. The Government had earlier assigned Dong Nai Province to act on the site clearance, compensation and resettlement project, part of the main airport project. As the job requires significant time to complete, ACV proposed the province begin as soon as possible. 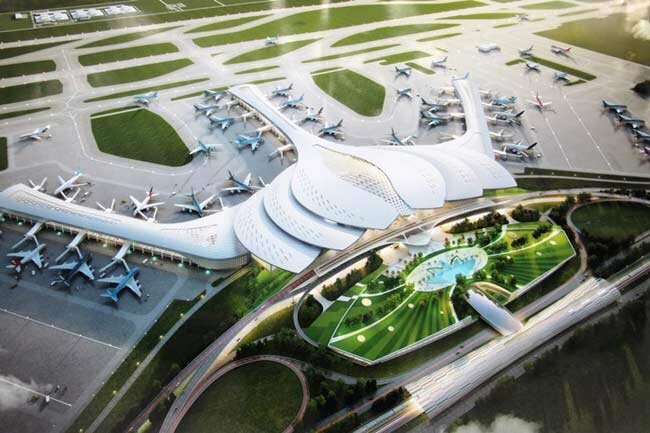 Long Thanh International Airport will be put into operation in 2025 if the project maintains its current rate of progress. The projected airport is designed to handle up to 100 million passengers and five million tons of cargo per year when the three construction phases are complete. In the first phase, which is slated for completion by 2025, the airport will have one runway and one passenger terminal able to handle 25 million passengers and 1.2 million tons of cargo per year. The second runway and terminal will be built in the second phase to raise the airport’s annual capacity to 50 million passengers and 1.5 million tons of cargo. The project costs an estimated VND336.6 trillion, or US$16.03 billion, with VND114.5 trillion for the first phase, based on the 2014 exchange rate between the Vietnamese dong and the U.S. dollar.